Mobile Shredding, often known as an onsite shredding service, is one of the easiest and most secure shredding methods of destroying sensitive documents, files and media. 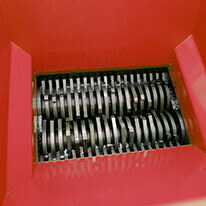 This is because shredding is carried out on your premises, when and where you can oversee the complete process. On-site shredding is the most secure way of processing any sensitive paper or media, especially when using our fully accredited operatives to collect all your confidential waste, and processing it in one of our shredding trucks. 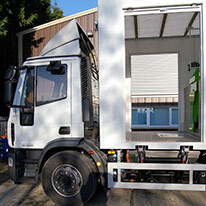 Mobile shredding offers you an immediate shredding service there and then on or outside your premises. This process totally destroys the content of sensitive files / other data carrying media, and turns them into miniscule fragments, which render them unreadable. After a FREE onsite survey to ascertain your exact requirements, we will deliver a pre-determined number of Lockable Security Containers (120 litres) FREE OF CHARGE to your premises which you can position as and where required. In these containers you can store your confidential information prior to us returning to carry out the shredding and / or degaussing destruction process. The number of containers required will be determined by your staffing levels and security requirements. Your files and media are kept securely at your location until our Shredding Truck arrives at pre-agreed intervals, when the mobile shredding occurs ONSITE. Our specially designed, high capacity vehicles, can process up to 2 tonnes of shredding waste per hour, meaning a very low disruption to your staff and business. 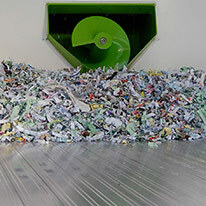 After the shredding process we can immediately provide you with a Certificate of Destruction, to complete your audit trail and data protection compliance requirements. Additionally we can also provide you with the relevant environmental performance figures. Shredded waste is subsequently removed from your premises immediately, compacted by high capacity balers, and then sent for full Recycling. As an example, the cost of our ONSITE Mobile Security Shredding Service (including the loan of up to 3 Security Containers), can be as little as just £70.00 per visit. To put this into perspective, our competitors could be costing you over £500 per hour! Additional Containers can be delivered and shredded for as little as £9.95 per Container/120 litre sack.